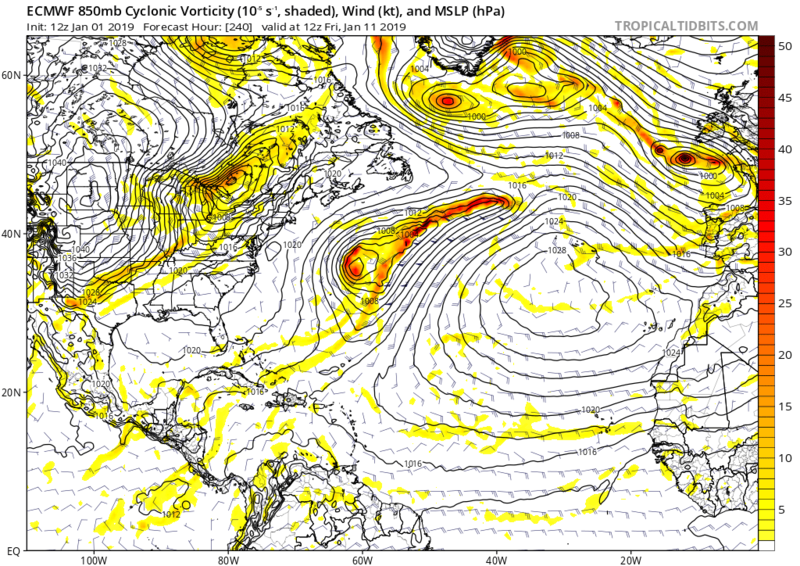 The trend is certainly Hp now and looks fairly solid out to +240 hrs, GFS goes further. For quite a few runs over a number of days now it goes on to show the HP strengthen as hatricpatrick mentioned in a previous post. Some signs of it getting cold at the end of the ECM 12Z run but it has been the case that this keeps getting pushed further and further out as the HP becomes more established. We will see. Even if we got nothing from SSW, high pressure for a month in January is the next best thing to snow. Cold, crisp, bright days seems to be the worst case scenario for cold lovers which isn't a terrible state of affairs. 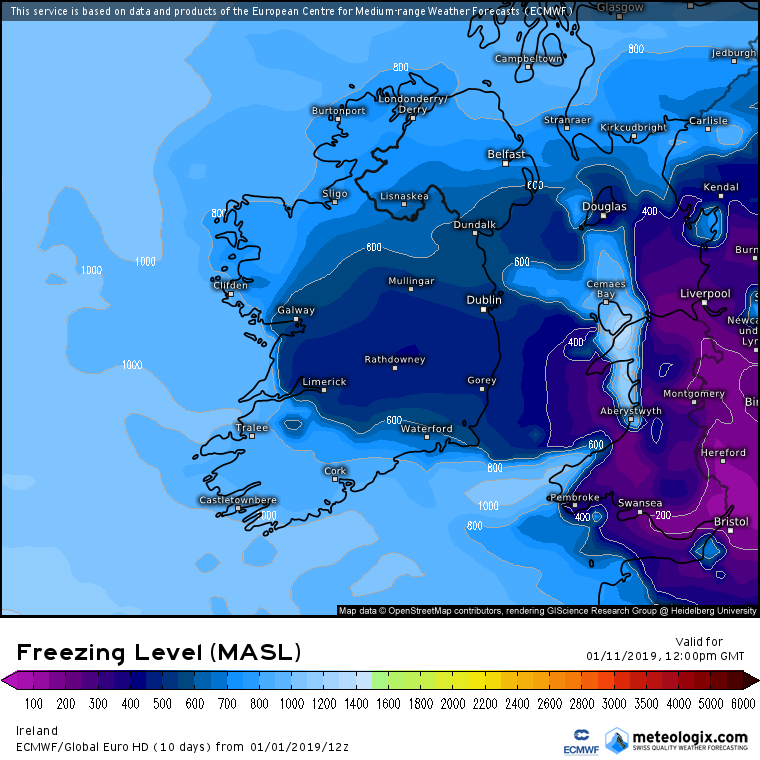 Europe looks to be cooling down considerably over the coming week which would be a good thing if the Easterly came , helping to keep the air mass colder if it made its way to Ireland , maybe a bit of it making it all all the way over to Tralee also ! I don`t know though. The Atlantic is on its Christmas holidays at present but it will surely be back in action at full throttle before too long. Not necessarily. It might, it might not. All we can say at present is HP for the next week at least. 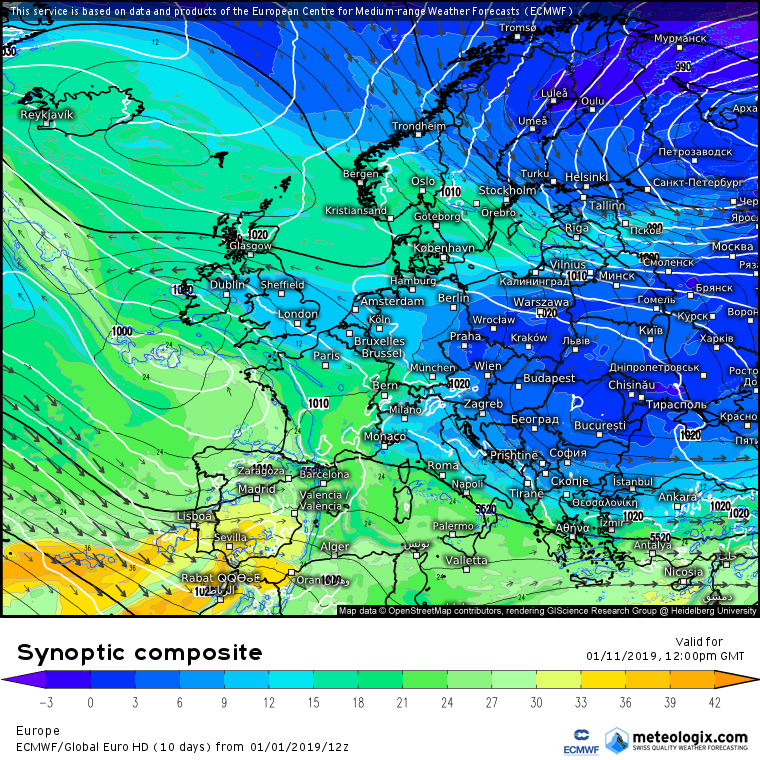 The end of the GFS 18Z run looks like potential very cold / snow from the N / NE ( cant post chart atm ). Long way off but it is the kind of chart that could pave the way for the long anticipated cold blast from the effects of the SSW which a lot of commentators are saying is under way. Will be interesting to see if there is a cold trend developing over the next couple of days or will it just fade away ? If your post does not specifically relate to an FI chart then it doesn't belong here - Off topic posts will be moved . Nice end to ECM but it’s a big outlier from the mean. 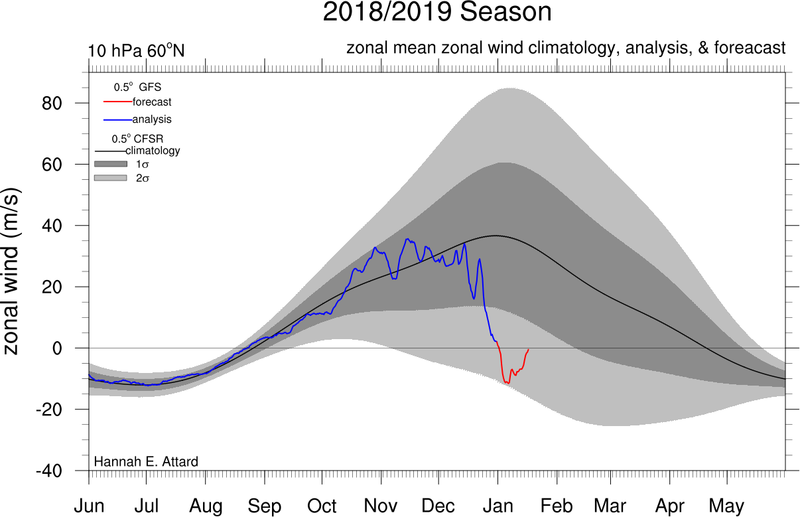 As was expected, models have been playing with tons of different solutions for the first half of January due to the ongoing sudden stratospheric warming event which is now really beginning to take off as the zonal winds reverse to an easterly for a couple days and the Polar Vortex attempts to split tomorrow Wednesday onwards. 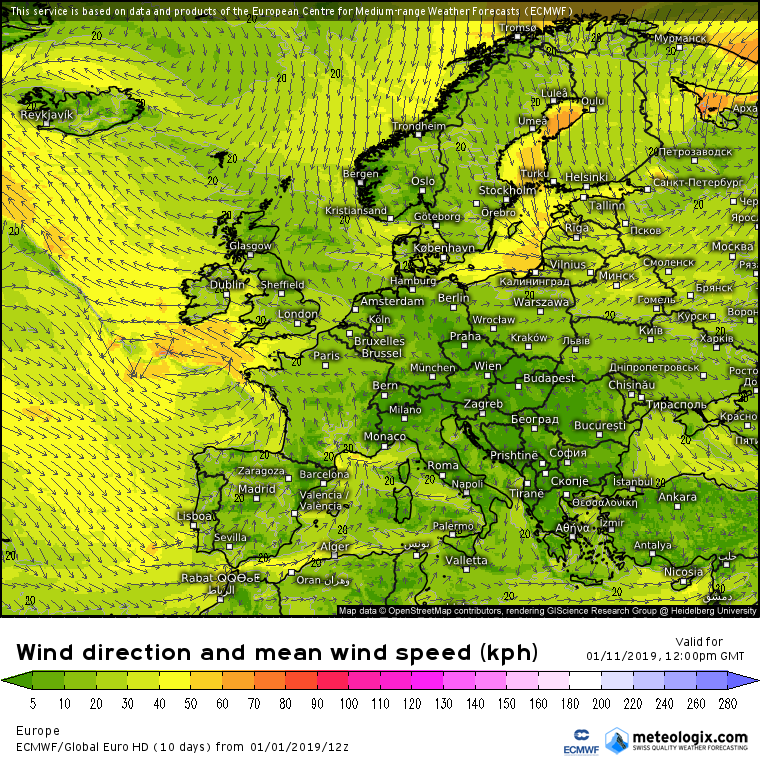 The latest GFS below shows quite a long reversion of the zonal winds through the next week with them not recovering to 0 m/s or above by the end of run (+384 hrs). This is the sign of a very weak stratospheric Polar Vortex which is important in determining if we can get blocking going over the Arctic. 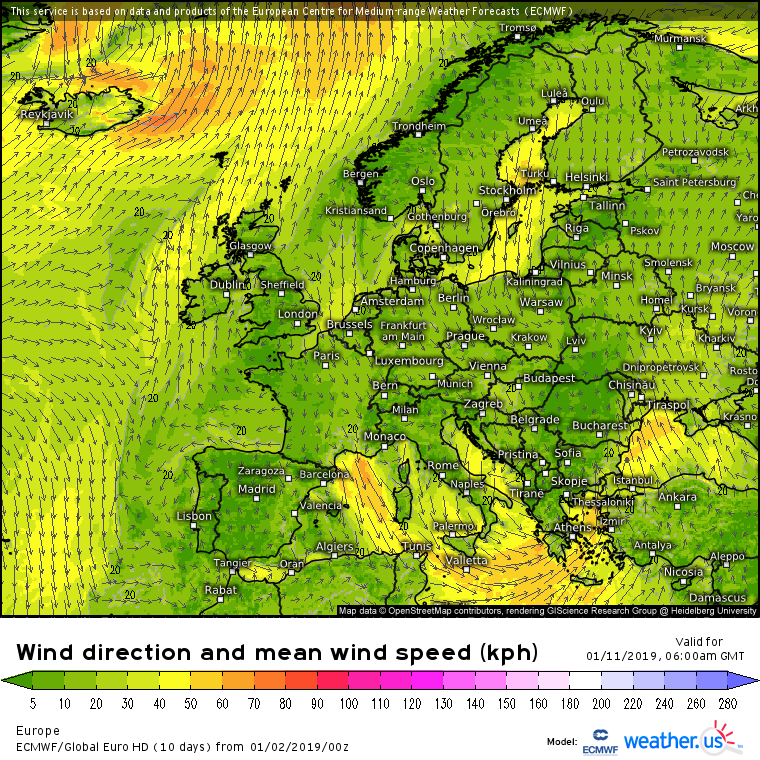 The warming is continuing to downwell into the lower stratosphere at 30hPa and the ECM has started to now show a sign of the 30hPa zonal winds reversing. Whether this all propagates further to the troposphere is another matter and complex equation but the models have trended recently on downward propagation occurring into the lower stratosphere which is a start. Let's take it step by step. The MJO is currently going into its 6th phase which during El Nino events is conducive to a trough of below average heights over eastern Europe. We know this is going to happen from the model output with a potent northerly wind bringing cold air from the Arctic to those regions including Scandinavia through later today and the next few days. 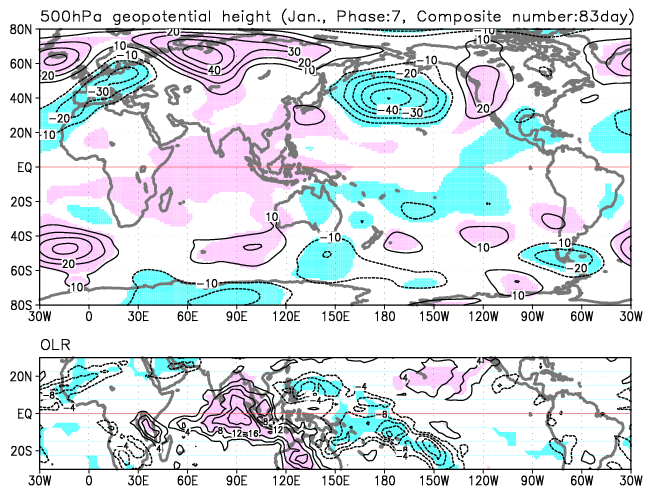 The GEFS and EPS forecast the MJO to go to its 7th phase through the second week of January but there is some divergence between the two ensemble prediction systems. The GEFS is quite confidently going strongly on the 7th phase with decent amplitude whilst the EPS is barely going for 1.0 sigma and a lot of varied ensemble members in its set that it's hard to really forecast going strictly by this. If the phase 7 forecast verifies especially using the latest GEFS, this is the kind of setup that should be showing up in model output. 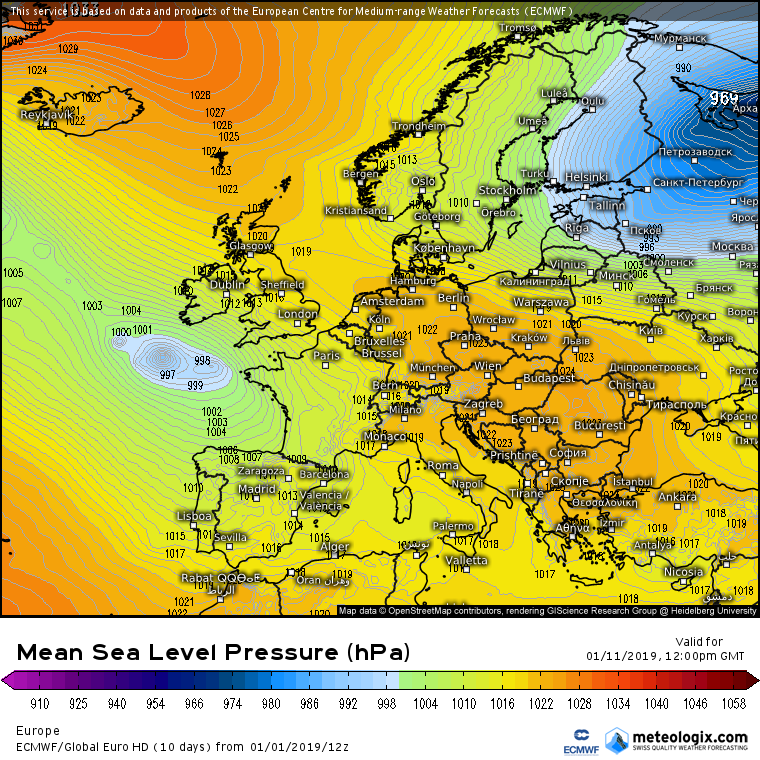 This shows an area of below average heights over central and southwestern Europe with a blocking area of high pressure just to the northwest of Ireland pulling in a northeasterly wind here. This pattern from the MJO forecast is given weight by the fact that a SSW event is occurring and the Polar Vortex is set to split. However, remember that many things can change such as failure of downward propagation to the troposphere from the stratospheric warming, the blocking to the northwest could be too far south to pull in a northeasterly/easterly flow etc. Any impacts from the stratospheric warming won't be until the end of the second week of January minimum. Yes, some models have started to show pretty cold scenarios for the second week of January, including the latest ECM (which as Villain pointed out is an outlier in its ensembles), though I don't think they hold that much weight.... for now. The outlook remains very settled with a lot of high pressure influence, cooler than it recently has been. Mod Note: Moved posts from today to new FI Winter 2019 Thread . Will close this one so as not to cause confusion. ECM12Z a bit less cold than the 0Z but looking cold nonetheless out past +120hrs . Two runs in a row showing some cold , not exactly a trend yet but signs of the HP being eventually eroded and replaced by a longwave trough at the end of the run. 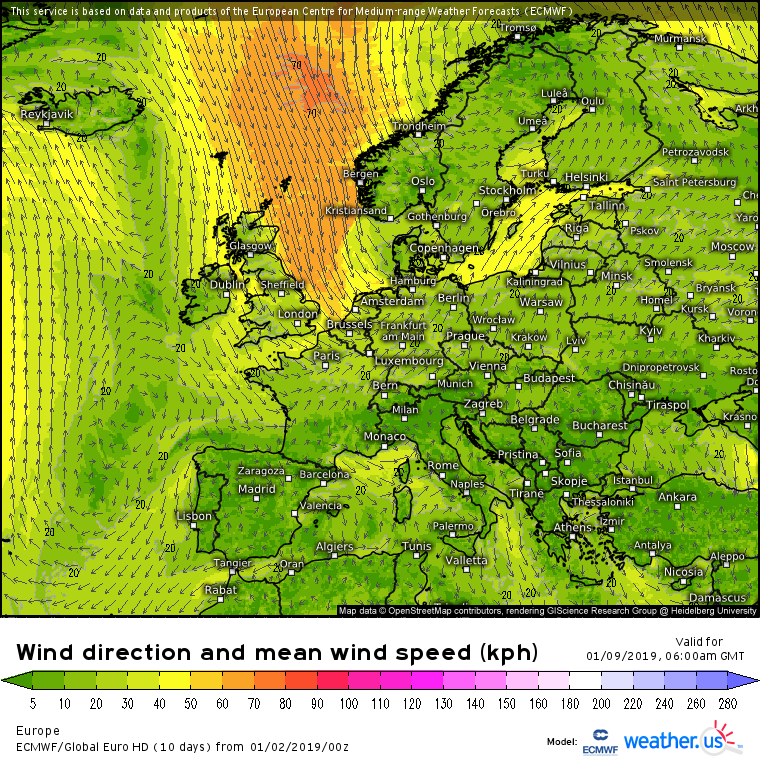 A way off and liable to change but the current charts showing LP S of Ireland helping to feed in a cold SE and E'ly winds out at +240hrs ( just a marker to see if following charts look anything like tonights ) . ECM 12Z hanging on to the HP out to the end of the run at +240 hrs but getting cooler with cold air being drawn in to the HP from the N initially and later from Europe's cold air mass. That is a few runs now showing a trend for colder air from the N and E rather than Atlantic weather. Last edited by Meteorite58; 02-01-2019 at 22:07. Winter finally arrives at just after T+120 on the GFS 06z..